Ponca City, Ok. — April 16th, 2019 — The headwaters of the Minnesota River plays home for the third stop on the Masters Walleye Circuit’s 35th season. The “Toughest Walleye Anglers on Planet Earth” will have a chance to live up to that moniker while competing on the recently melted waters of the 26-mile long Big Stone Lake. BPS/Cabela’s MWC fishermen are no strangers to Big Stone, with this being the 5th time, since 2014, the circuit has travelled to Ortonville. Fitting this event is presented by Lowrance, as anglers in the past have spoken about how critical quality electronics are at this event and that trusting what they tell you will make or break your days on the water. As a bonus benefit to all MWC anglers as well as all TWF members nationwide, Official Sponsor Lowe Equipment Attachments offers a 20 percent discount off the MSRP on all its auger, trenching and grapple products available through Midwest Attachments, LLC. For information on that program, visit masterswalleyecircuit.com/tournaments/contingencies. Daily live weigh-ins at Ortonville City Park, Ortonville, MN are free and open to the public beginning at 3:00pm both days April 26, 27. If you can’t make it in person you can watch the weigh-ins live, online, at masterswalleyecircuit.com or on our Facebook page. Under the umbrella of The Walleye Federation (TWF), the Bass Pro Shops and Cabela’s Masters Walleye Circuit is North America’s longest-running and undisputed leader in team walleye tournaments and as an inductee into the freshwater fishing hall of fame, has set the standard for competitive walleye fishing for 35 years and is open to avid walleye anglers from all walks of life. The 2019 schedule includes eight qualifiers in six states, plus the 2020 Bass Pro Shops and Cabela’s MWC World Walleye Championship. Registration is now open for all events, and the registration deadline for the Big Stone tournament is close of business Monday, April 22. Visit masterswalleyecircuit.com for full details. Bass Pro Shops & Cabela’s – The World’s Foremost Outfitters, are in their 18th season as title sponsor of the Masters Walleye Circuit. Official sponsors include: Lowe Equipment Attachments, Lowrance Electronics, Mercury Marine, Ranger Boats and The Walleye Federation. 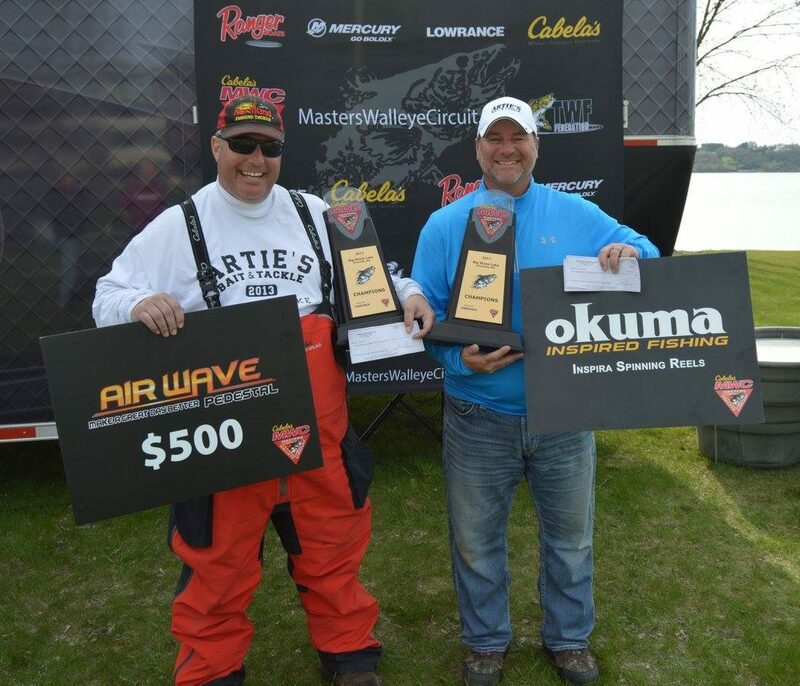 Associate sponsors include: AirWave Pedestals, Church Tackle, MotorGuide, Okuma, Power-Pole and T-H Marine. For more information, email info@masterswalleyecircuit.com, or call (580) 765-9031.